Skype is a free to download and use software program known for its high-quality video and audio calling features. Skype allows its user to make video and audio calls to their friends and family in peer-to-peer or a conference call. Create a Skype account today to enjoy all of its features. Similar to other instant messaging services, you can create and send messages instantly and share almost any type of files including media and picture to your family, friends and any other Skype users having a conversation with you. Communication between the Skype app is completely free. You can call and send messages from any corner of the world as long as you have an internet connection. Hence you can communicate without spending a single penny on Skype; for the internet connection, you have paid regardless of using Skype. When you create a new Skype account, you’ll get features like offline calling and text messaging directly to cellular network locally or internationally. You need to have a paid subscription to access these options. Skype signup process may take a few minutes based on your internet connection speed and how you get through the steps. 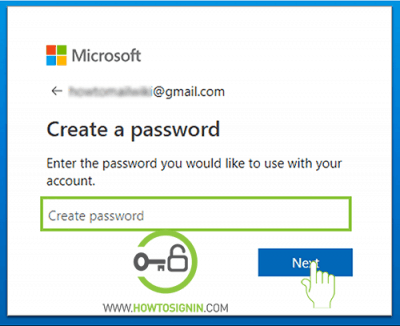 Already have a Microsoft account? 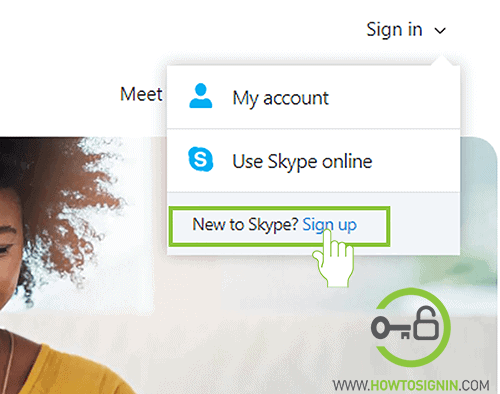 You can use the same account to set up Skype for the first time. The simple and effortless process to create a new Skype account for free. Navigate Skype home page. On the top right corner of the page, click on Sign in. Select Sign up from the drop-down menu. You can create a new Skype account using your mobile number or your existing email address. 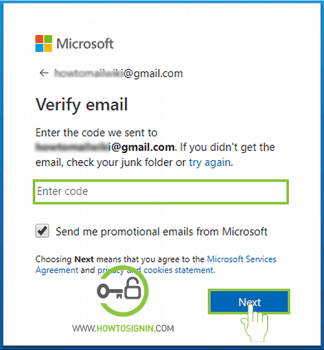 You can also create a new email address from Microsoft (i.e., Outlook, Hotmail or live). Enter your mobile number or email address whichever you prefer and click Next. Now enter a password for your Skype account. To make your password secure don’t use the same passphrase for multiple accounts, don’t use dictionary words and mix alphabets, numbers and special characters. Hit Next after filling the first and last name field. It is also the display name of your new Skype account. 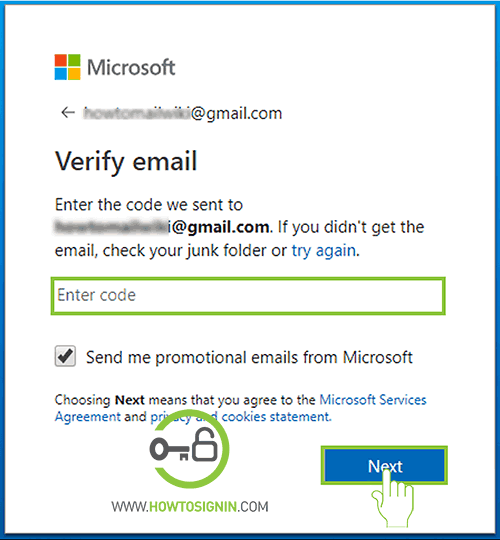 You’ll get a security code from Microsoft to your mobile or email inbox with a verification code. Check your inbox and enter the verification code you received and hit Next. 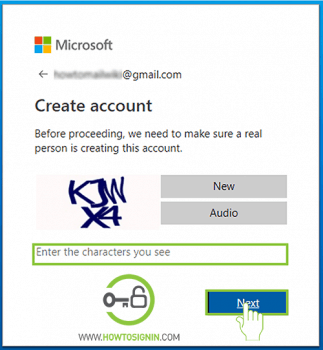 Enter the captcha code to complete Skype sign up process. If you are unable to verify the image captcha, click on Audio to listen and pass the test. Enter the character you see or listen and click Next to complete Skype signup process. After successful registration, you can use the same account to access all other Microsoft products. Now start sending messages, sharing file and pictures. Enjoy high-quality audio and video call from supporting devices. You can also create a new Skype account from mobile using the Skype app on both Android and iOS devices. In most of the Android mobile devices like Samsung, Skype is installed in default. Open Skype app on your mobile device and tap Let’s go. You can sign in with an existing Microsoft account. To create a new Skype account, click Use another account. 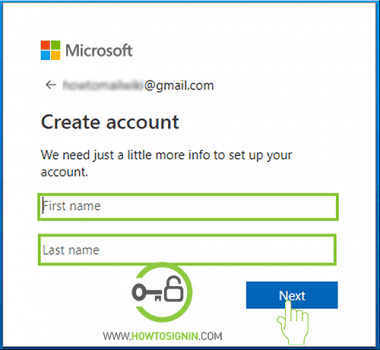 You’ll reach Microsoft login page. Tap Create one! Further process to create a new account from mobile is identical to Skype sign up from the web.